I hate leaving this guy, but I do need a break and I’m ready to love on my other kids! 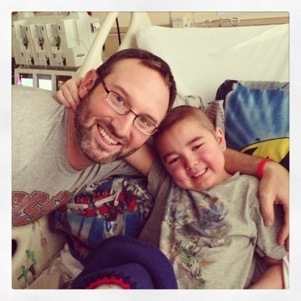 My heart is with Trey and Emily always…I’m so praying his liver enzymes are down tomorrow! PLEASE LORD!!! I have found it an honor to be able to join in prayer for your son Trey as well as you and your wife. I’m sorry to find that I’m too old to be considered in the DNA testing for bone morrow. Therefore it will become my prayer that Trey will be healed without a future transplant.